Outreach Group Travel Short Term Team international medical insurance is another travel insurance option Good Neighbor Insurance provides to our clients. Good Neighbor Insurance has provided this travel insurance for short term teams for over 10 years. This short term team travel insurance has not let our clients down for over all these years. 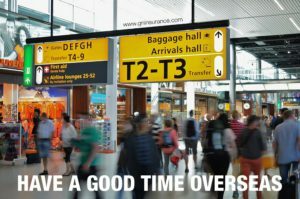 The Outreach Group Travel medical insurance is the go to travel insurance for all those sending teams overseas for a few days up to 30 days or longer. Here are some travel medical benefits that the Outreach Group Travel covers for our guests. You may view all the benefits on our web page at https://www.gninsurance.com/outreach-group-travel-short-term-team-insurance/. There is no PPO networks outside of the U.S. There may be hospitals that will do direct billing, but not usually in remote places, such as PNG Papua New Guinea) . As with most travel insurance, one would pay their medical expenses out-of-pocket and then submit a claim for reimbursement. If surgery or major hospitalization occurs, this needs to be pre-certified and a guarantee of payment letter may be requested. If someone thinks they may need to be medically evacuated, then of course IMG, the insurance company, needs to be called immediately, so that they can make arrangements, if it is determined that this is needed. The sooner IMG, is informed the sooner they can make things happen. Regarding coverage for those 65 and over, coverage for the sudden and unexpected recurrence of a pre-existing condition is limited to $2,500. Also, medical evacuation for the sudden and unexpected recurrence of a pre-existing condition is limited to $25,000 regardless of age. 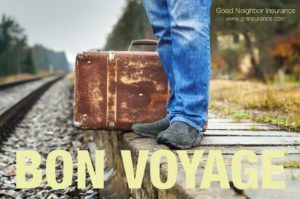 If you have travelers who are concerned about having better coverage for pre-existing conditions, especially those over the age of 64, we recommend the Voyager Choice travel medical insurance at https://www.gninsurance.com/geoblue-voyager-choice-essential-single-trip-travel-insurance/#excursion. The Outreach Group Travel policy, https://www.gninsurance.com/outreach-group-travel-short-term-team-insurance/, does not cover medical request that are more elective surgery. An elective surgery is a surgery that does not involve a medical emergency. An elective surgery does not need to be performed immediately to save an patient’s life. (15) Charges incurred for eyeglasses, contact lenses, hearing aids, hearing implants and Charges for any Treatment, supply, examination or fitting related to these devices, or for eye refraction for any reason; 16) Charges incurred for eye Surgery, such as but not limited to radial keratotomy, when the primary purpose is to correct or attempt to correct nearsightedness, farsightedness, or astigmatism.